Gel nail extension kit. UV and LED compatible. Odourless, advanced performance gels for thin, light natural looking nails. Kit contains everything you need to start treatment and is ideal for students and training. 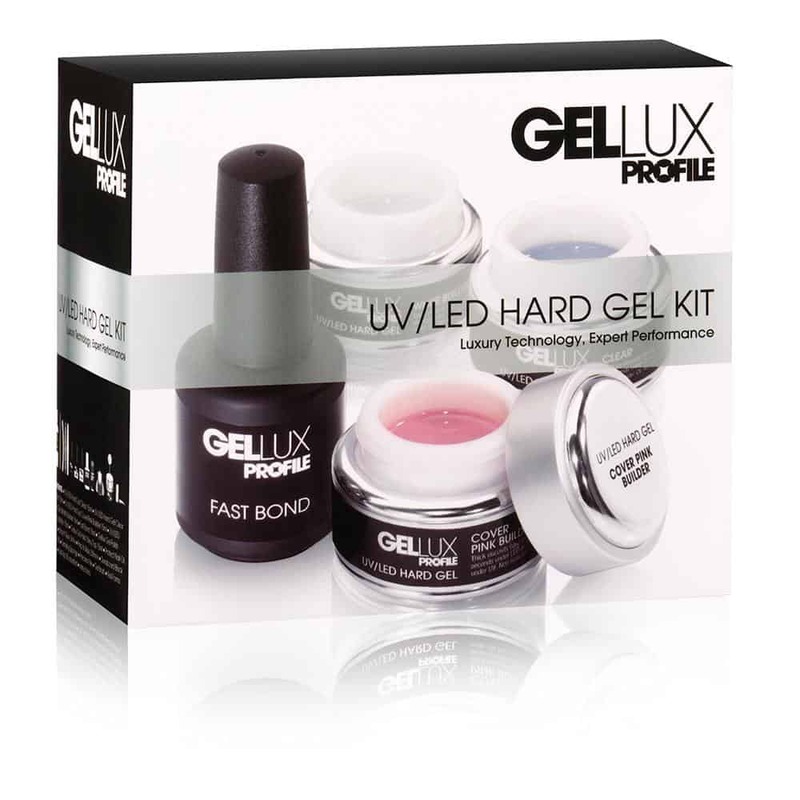 Contents: Hard Gel Clear 15ml, Hard Gel Clear Builder 15ml, Hard Gel Cover Pink Builder 15ml, Hard Gel White Builder 15ml, Fast Bond 15ml, Gel Polish Purely White 15ml, Shiny Top Coat 15ml, Nail Oil 14ml, Stick-It Glue 3ml, Prep Wipe 250ml, Duraboard black 100/180, Sanding Sponge 240/240 grey, Boomerang File 240/240, Gel Brush, Clear Nail Forms (50), Nail Tips 50 assorted, Instructions.